Finding a termite treatment company that you can trust to effectively eliminate an infestation in your La Jolla, California, home is as easy as turning to Kilter Termite and Pest Control. Since 1991, we have earned the trust of countless homeowners by providing termite extermination services that are tailored to their needs. We’ve even earned accolades in recognition of our excellence, including a designation as one of the nation’s top 100 pest control companies by Pest Control Technology. Proven Effective – We use the innovative KILGUARD system to eradicate infestations of subterranean and drywood termites and prevent them from returning. 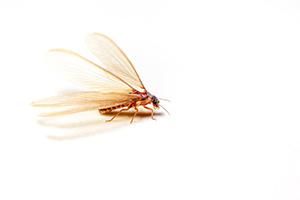 Convenient – Our termite control system does not require tenting and is safe for families and pets, so homeowners don’t need to find alternative accommodations while treatment takes place. Warranted – We provide a two-year warranty, so our customers can rest easy knowing they won’t have to deal with recurring infestations. At Kilter, not only can we provide effective termite treatment services, but we can also help repair wood in your home that has been damaged by termites. Our team of experienced craftsmen can identify wood throughout your home that needs to be replaced and then perform expert removal and replacement to restore damaged areas to their original condition.